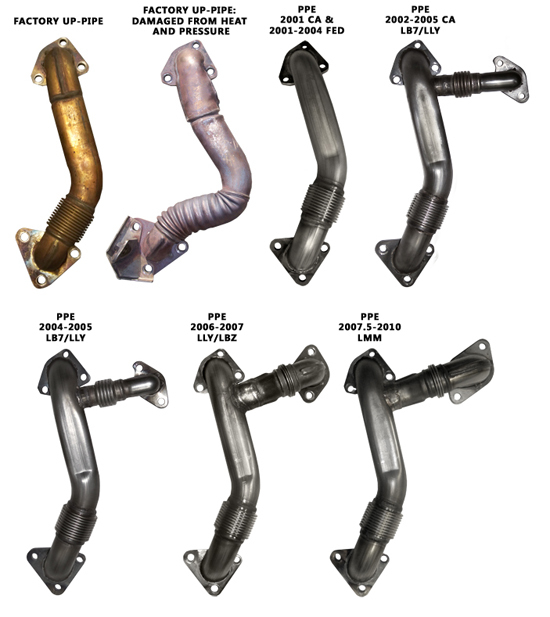 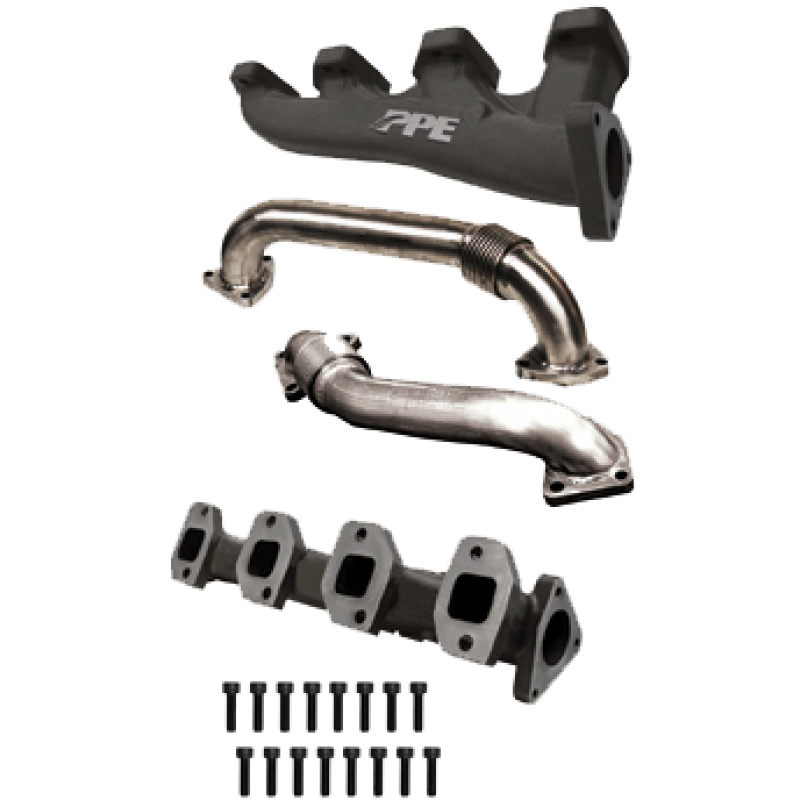 Replacing your stock Manifold and Up-Pipes should be your first step in building a high performance exhaust system. 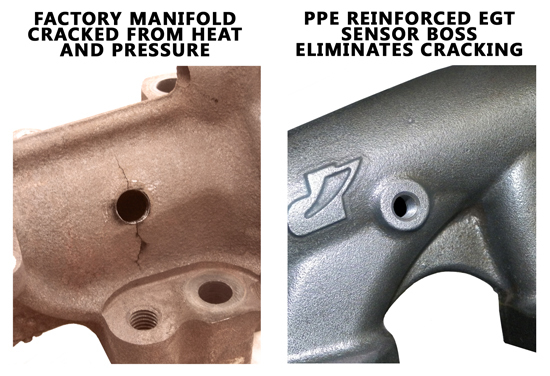 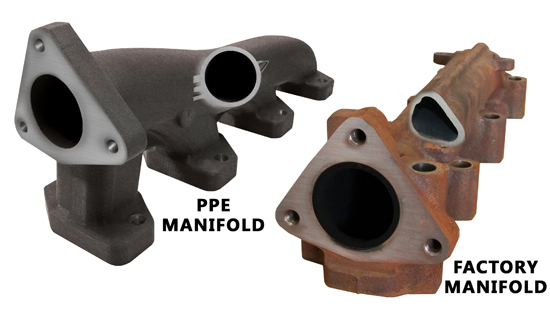 These exhaust manifolds were co-designed by Honeywell (Garrett) and PPE using CAD software to maximize flow characteristics. The up-pipe bellows are high flow, internally sleeved and aircraft grade! 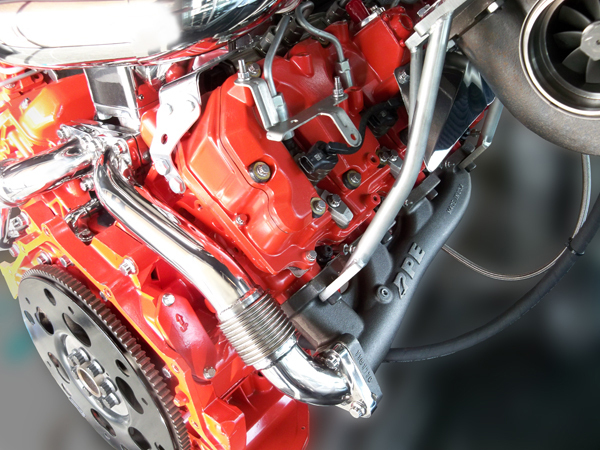 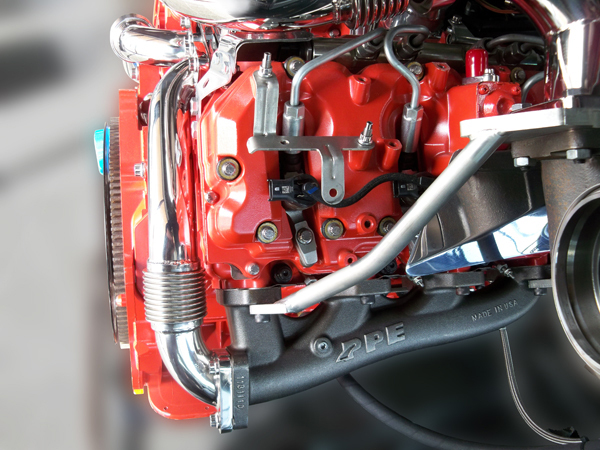 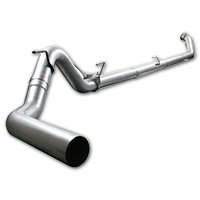 Our High Flow Exhaust Manifolds and Up-Pipes lower Exhaust Gas Temperatures, reduce drive pressure, and accelerate turbo spool-up while maintaining reliability. 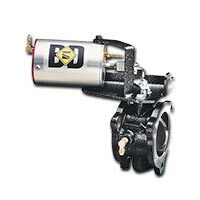 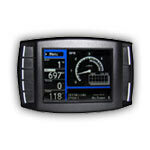 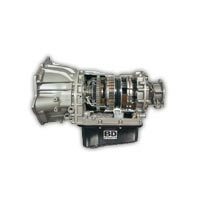 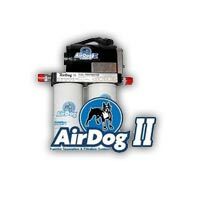 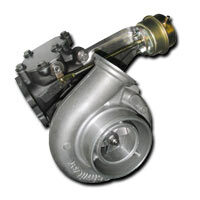 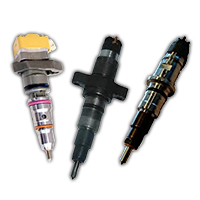 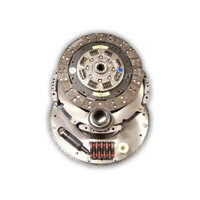 Perfect for applications with upgraded turbo systems and nitrous equipped trucks. 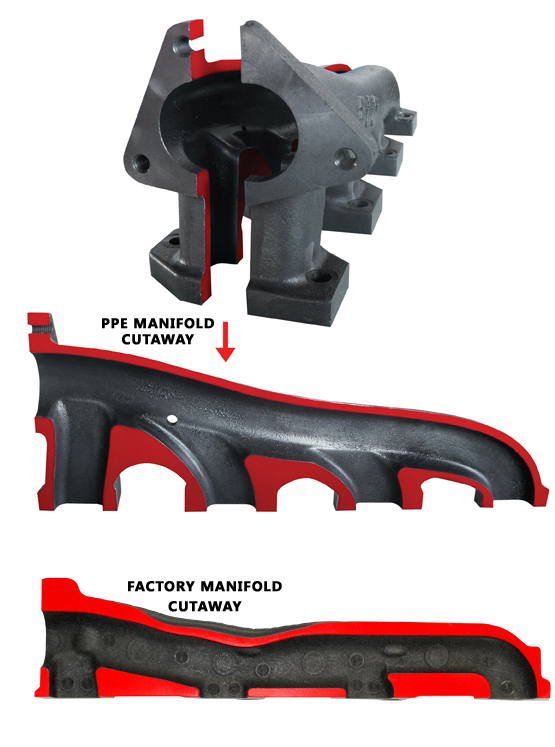 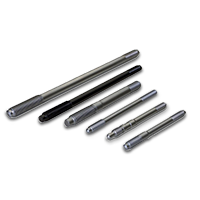 Factory manufacturing process leaves the Up-Pipe bellows' inside liner significantly undersized and deformed causing excessive restriction. 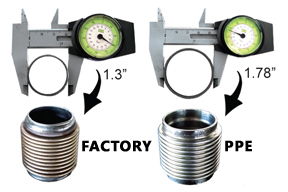 PPE's bellows are larger in diameter by 37% providing increased flow.